Speech delivered by Fr. 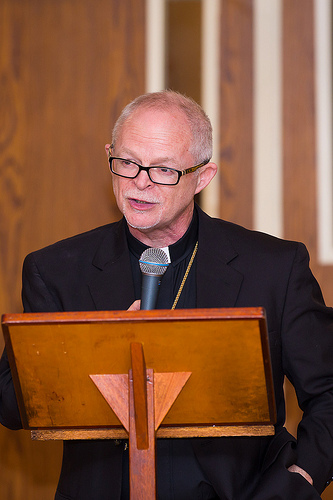 Antony Hughes on Saturday, October 5, 2013 at the Anniversary Celebration honoring Fr. Antony for 25 years to the priesthood and 20 years at St. Mary's. Text Preview: I thank God for sending us to St. Mary’s. Without Him, well, we are nothing. The miracle of our assignment here many of you know, and I will not repeat the story, but it never ceases to inspire and humble me that God sent us here. God’s love undeserved, certainly, but given freely has sustained me and my wife and my family throughout all of these twenty-five years, and twenty years here.